Hi guys, finally got back to this job, this is continued from my previous thread. I want to connect the 2.2 ohm test resistors to the connector that is input to the clockspring. So here is a “dumb” DIYer question: how do I disconnect the connector without breaking it? I have gently pried on it with a thin blades screwdriver, but the thing really does not want to move. I REALLY don’t want to break it orthe clockspring. Please see pic. Any ideas? Looking at a picture of the clockspring on rockauto I now realize that this connector is probably not separable. 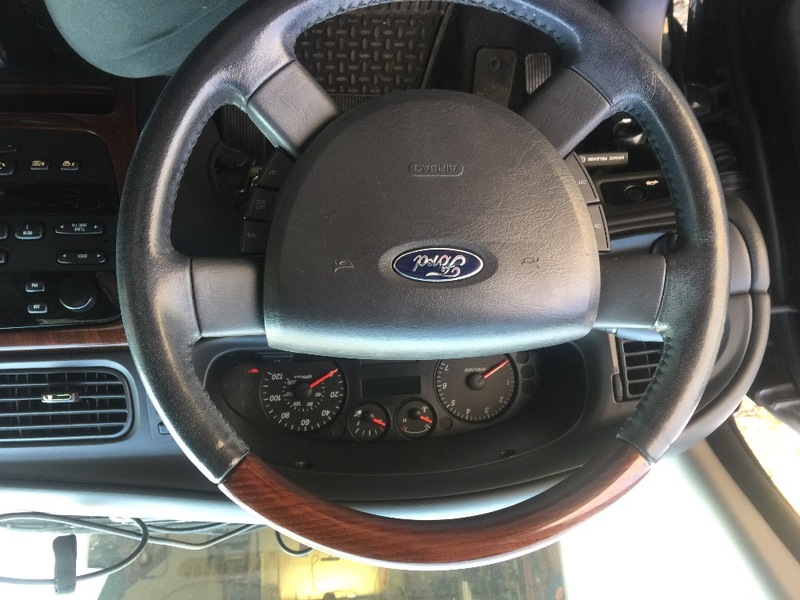 I think I need to remove the knee bolster and disconnect from under dash. You are correct, it does not disconnect at the point in that picture. Thank you! I really appreciate how patient you guys are on this forum with us greenhorns. Last edit: 31 Mar 2019 15:40 by popoften. Another weekend, another crack at this project. 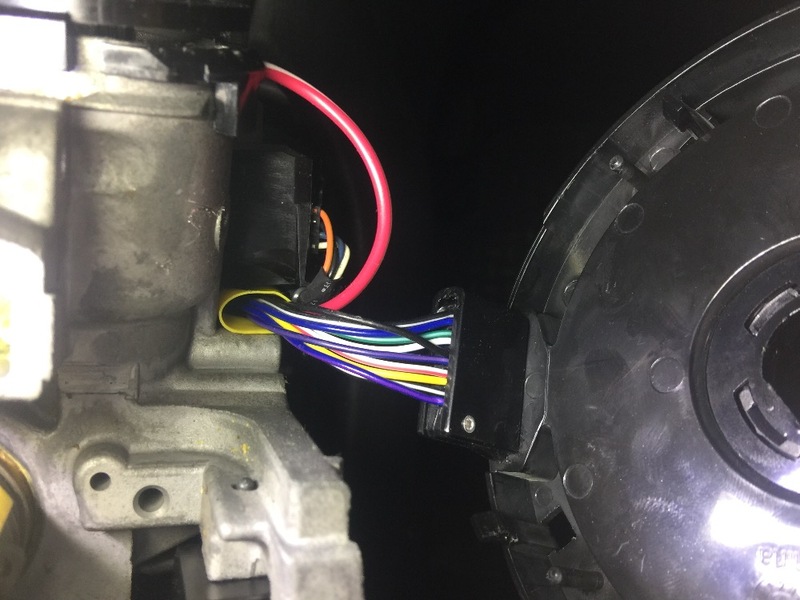 I removed the knee bolster and located the connector for the airbag wires input to clockspring harness, and separated the connector from the clockspring harness. I put 2.2 ohm resistors across the primary and secondary holes in the connector. I then temporarily reinstalled the ignition lock cylinder, reconnected the battery, and turned key to ON position. The airbag light lit steady for a few seconds, then went out and stayed out. Same thing when I repeated key ON two more times. My call at this juncture (see my other thread on this for background) is that the clockspring needs to be replaced. Stick a fork in that clockspring, 'cause it's done! Hopefully the clockspring for your Taurus is cheaper than my Scion. Dealer wanted $270 for mine. Car is back together, airbag light is OFF, and my son is ready to have the car safety inspected. Definitely could not have done this repair without your valuable guidance! PS Clockspring was $200, but with coupons I got 64.00 off that price. Honest question, does your state look for the airbag light during inspections? Yes, Virginia sure does. This car had failed for it, and a few years ago my daughter’s minivan did also.